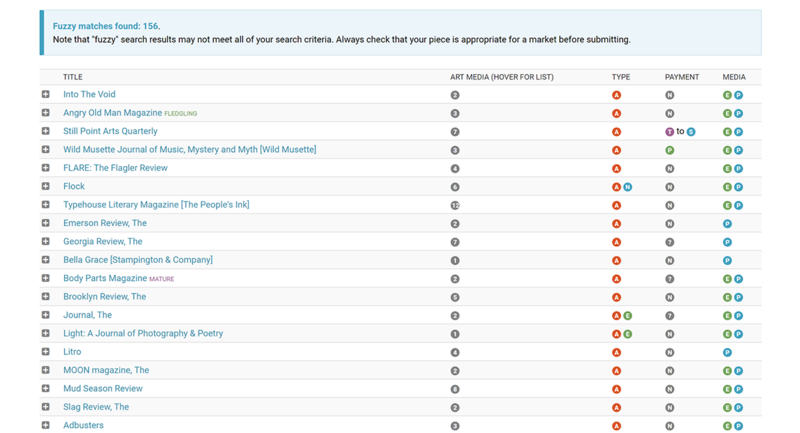 Duotrope's Visual Art Publisher Search feature lets you search for active visual art journals, magazines, contests, anthologies, and other publishers on over two dozen criteria, including style, medium, and pay. Find the best publishers for your art. Learn more.